Hans Hofmann School of Fine Arts, New York and Provincetown. National Endowment for the Arts Grant. CUNY, Brooklyn College, Brooklyn, NY. Art Students League, New York, NY. Lamar Dodd Chair, University of Georgia at Athens, GA.
Tanager Gallery, New York, NY. Also 1955. March Gallery, New York, NY. Great Jones Gallery, New York, NY. Also 1960. Sun Gallery, Provincetown, MA. Also 1963. Green Gallery, New York, NY. Also 1964. East End Gallery, Provincetown, MA. Also 1965. Bradford Junior College, Bradford, MA. Felix Landau Gallery, Los Angeles, CA. Richard Gray Gallery, Chicago, IL. American Gallery, New York, NY. Graham Gallery, New York, NY. Also 1967. Tirca Karlis Gallery, Provincetown, MA. Also 1968, 1971. Utah Museum of Fine Arts, Salt Lake City, UT. Simone Sterne Gallery, New Orleans, LA. Dain Gallery, New York, NY. Also 1973. Terry Dintefass Gallery, New York, NY. Monique Knowlton Gallery, New York, NY. Also 1979, 1980, 1981, 1983, 1985, 1995. Lamar Dodd Museum, La Grange, GA.
Fay Gold Gallery, Altlanta, GA. Also 1985. Gruenbaum Gallery, New York, NY. M-13 Gallery, New York, NY. Also 1989, 1990, 1991, 1992, 1993. Locus Gallery, San Antonio, TX. Vanderwoude-Tannenbaum Gallery, New York, NY. Berta Walker Gallery, Provincetown, MA. Andre Zarre Gallery, New York, NY. Carone Gallery, Fort Lauderdale, FL. Memorial Exhibit, Long Point Gallery, Provincetown, MA. Memorial Exhibit, Monique Knowlton Gallery, New York, NY. Also 1997. A Small Retrospective, Cherrystone Gallery, Wellfleet, MA. Robert Beauchamp-A Passion for Paint…The Final Years, Provincetown Art Association & Museum, Provincetown, MA. Fantasy and Angst in the Art of Robert Beauchamp, Boston Psychoanalytic Society and Institute, Boston, MA. The King and the Fool Walk in the Rain, Iris & B Gerald Cantor Art Gallery, College of the Holy Cross, Worcester, MA. 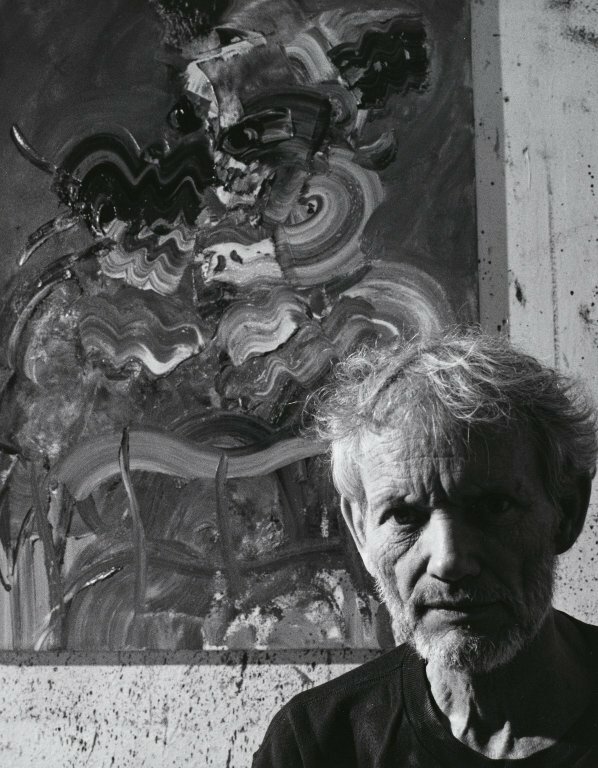 Robert Beauchamp: Late Paintings, ACME Fine Art, Boston, MA. David Findlay Jr. Fine Art, New York, NY. Also 2008. Beauregard Fine Art Gallery, Rumson, NJ. Pollock Gallery, Meadows School of the Arts, Southern Methodist University, Dallas, TX. Walker Art Institute, Minneapolis, MN. Stable Gallery, New York, NY. Also 1956, 1957, 1958. Tanager Gallery, New York, NY. Also 1960, 1961. James Gallery, New York, NY. Also 1957. March Gallery, New York, NY. Also 1958. Area Gallery, New York, NY. St. Marks in the Bowery Gallery, New York, NY. Martha Jackson Gallery, New York, NY. International Arts Gallery, New York, NY. Haansa Gallery, New York, NY. Green Gallery, New York, NY. Also 1961. Zabriskie Gallery, New York, NY. Also 1961. Whitney Museum of Art Biennial, New York, NY. Also 1963, 1965, 1967, 1969. Roland de Aenelle Gallery, New York, NY. Ten Independents, Guggenheim Museum of Art, New York, NY. Southeastern Drawing Invitational, Huntsville Museum of Art, Huntsville, AL. Five Figurative Painters, Huntsville Museum of Art, Huntsville, AL. Nassau County Museum of Contemporary Art, NY. A New Beastiary, Virginia Museum of Art, Richmond, VA.
Cranbrook Academy of Art Museum, Bloomfield Hills, MW. University of Georgia Art Museum, Athens, GA.
Monique Knowlton Gallery, New York, NY. Also 1994, 1995, 1997. Invitational, Provincetown Art Association & Museum, Provincetown, MA. Longpoint Gallery, Provincetown, MA. Also 1994, 1995, 1996, 1997. Field and Stream, Monique Knowlton Gallery, New York, NY. Cape Museum of Fine Arts, Dennis, MA. Also 1999. Fine Arts Work Center, Provincetown, MA. Figurative Expressionists of Provincetown, Berta Walker Gallery, Provincetown, MA. Figural Expressionism, ACME Fine Art, Boston, MA. Dow Hones and Co., New York, NY. The Whitney Museum of American Art, New York, NY. The Hirshhorn Museum & Sculpture Garden, Smithsonian Institution, Washington, DC. The National Gallery, Washington, DC. The Carnegie Institute, Pittsburgh, PA. The Brooklyn Museum of Art, Brooklyn, NY. The Denver Museum of Art, Denver, CO.
University of Massachusetts at Amherst, Amherst, MA. American Federation of the Arts, Museum Purchase Fund, New York, NY. Herbert F. Johnson Museum, Cornell University, Ithaca, NY. I.T.&T. Collection, New York, NY. Estee Lauder Inc. Collection, New York, NY. University of Texas at Austin, Austin, TX. Tucson University Museum, Tucson, AZ. The Everson Museum, Syracuse, NY. The Seattle Museum of Art, Seattle, WA. Telfair Museum of Art, Savannah, GA.
Cape Cod Museum of Art, Dennis, MA. University of Nebraska, Sheldon Memorial Art Gallery & Sculpture Garden, Lincoln, NA. College of the Holy Cross, Worcester, MA. Kresge Art Museum, Michigan State University, MI.